Friends of Sutter’s Fort is the proud sponsor of the Scouts at the Fort Program, which is managed by California State Parks. The purpose of Scouts at the Fort is to provide an educational program that meets the needs of Girl Scouts USA; however this program is open to all youth age 8-12. At the end of this program, Girl Scouts will receive a Playing the Past badge. 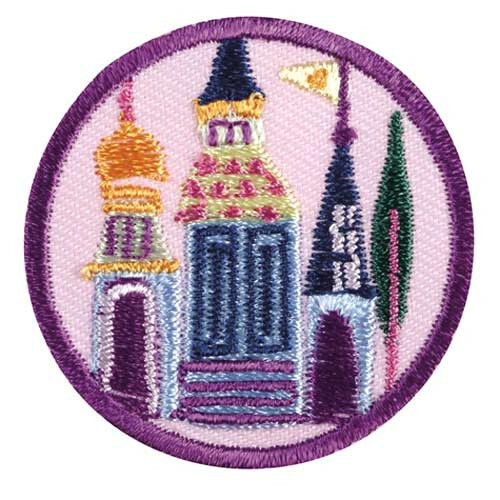 Non-scouts will receive a Sutter’s Fort badge. During this 2 ½ hour program at Sutter’s Fort State Historic Park, participants will learn about life as a pioneer through hands on learning stations, including crafts, games, costumes and more. After the program ends, participants may stay and learn about Sutter’s Fort via a self-guided audio tour. Non-scouts may also participate at the same price; registration is required. Additional adults and siblings will be required to pay normal entrance fee at kiosk upon arrival. Additional information for Girl Scouts seeking to complete the Playing the Past Badge during this program: In order to fulfill the badge requirements, you will need to choose your 1800s character and create your costume prior to your arrival. All participants will have access to period-appropriate bonnets, but you may want to add additional costume elements. A resource guide of potential characters can be obtained after registration.